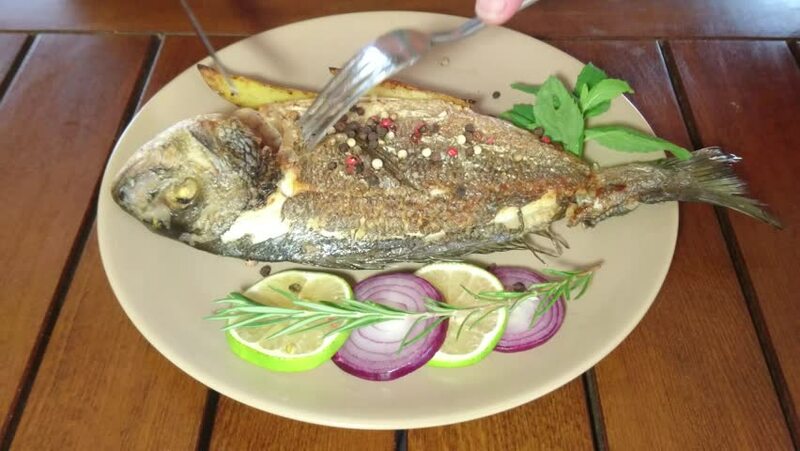 4k00:10Grilled sea bream on plate with lemon, arugula, slice of lemon and onions. Healthy food. Blue table background. hd00:16A delicious lobster roll and crab poutine.